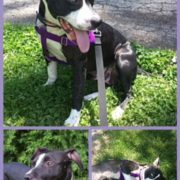 General information: Oreo is one of our longer term residents, and we genuinely can’t figure out why. 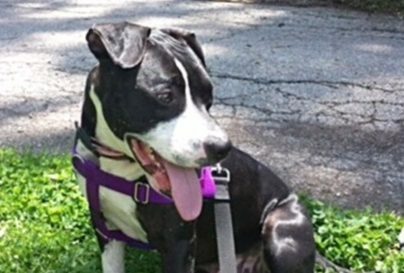 She’s a Pit Bull mix and sadly they get a bad rap. 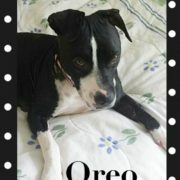 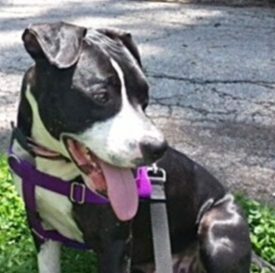 Oreo has encountered many dogs outside of her foster home but can be selective about her canine friends. 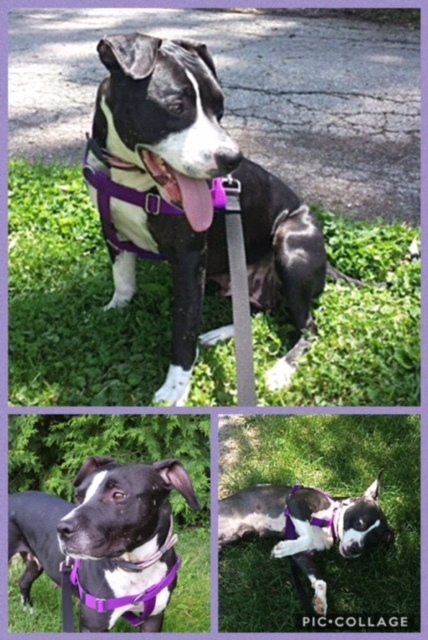 We think she would be happiest as the only dog in a home. 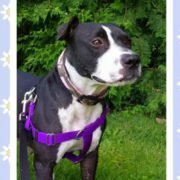 She has been participating in agility classes for fun, goes to many of our adoption events and is the best greeter ever, is calm indoors but also loves to play. 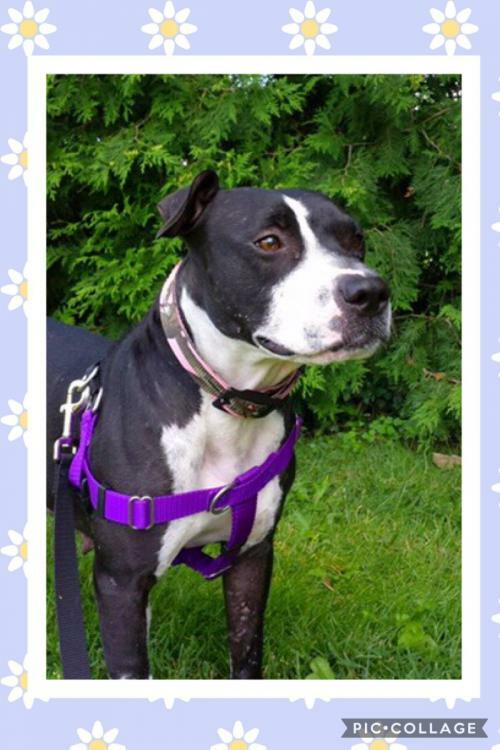 She’s an all around great girl who is affectionate and very in tune with her person. 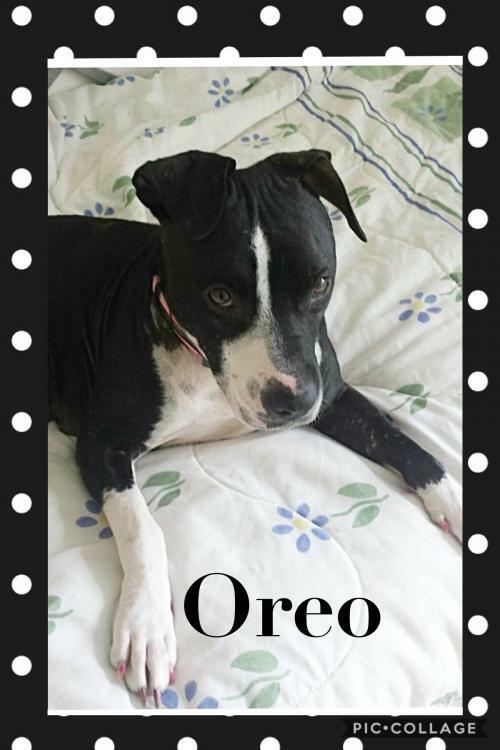 Oreo will be a fabulous companion, she’d just prefer to be your one and only!